In 2017, Anderson authorized the use of $15,000 in funds controlled by the athletic department for legal representation of two football players accused of sexual misconduct. Later, he did not follow orders from the university administration to cut ties with the lawyers, according to the statement, and the administration conducted an internal investigation into his actions. A statement to The Diamondback from the university said that Anderson’s actions interfered with the school’s “commitment to a fair and impartial handling of all such matters.” The school also said that Anderson showed a “serious lack of judgment.” While a university paying for a student-athlete’s lawyer is allowed by the NCAA in cases that may affect their eligibility, Maryland’s former Title IX officer told the newspaper that such an arrangement in a sexual misconduct case could be seen as an “equity issue” because only one side would have free representation. A source for The Diamondback says that, through Maryland’s Office of Civil Rights and Sexual Misconduct, the two football players “were ultimately disciplined by the university,” though they do not specify how. 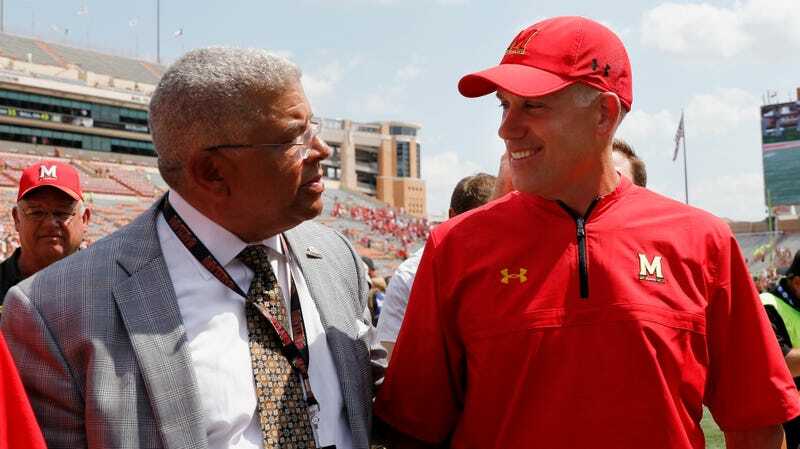 Anderson, meanwhile, resigned in April—months before the scandal of Maryland’s “toxic” football culture broke—near the end of a six-month sabbatical. He was most recently the interim athletic director at Cal State Northridge.